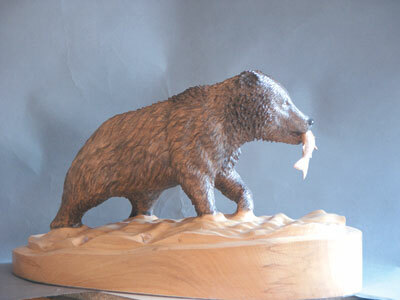 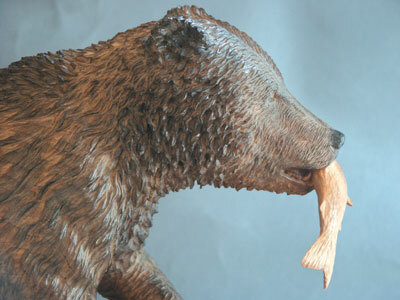 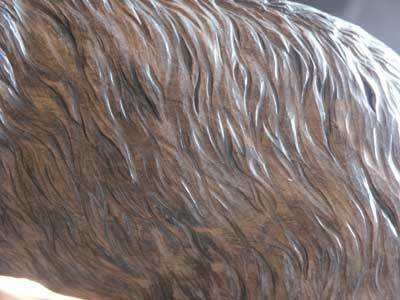 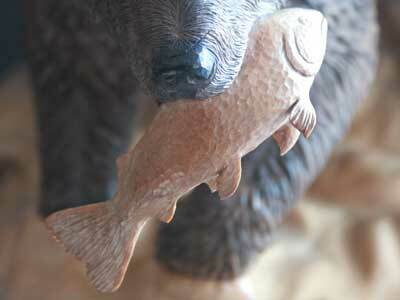 The bear is a good example of a carving that demonstrates how a tool finish effectively makes the piece by creating fur. 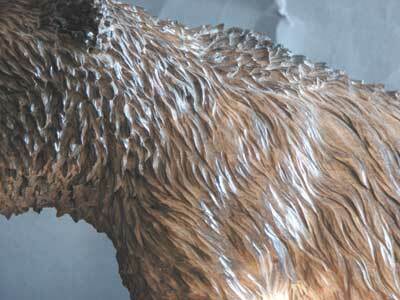 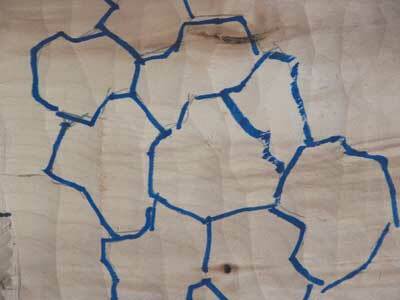 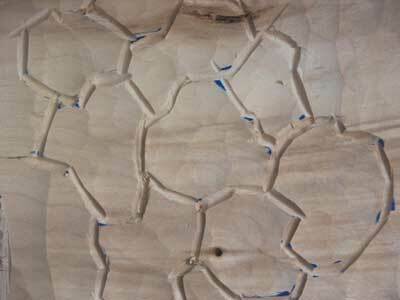 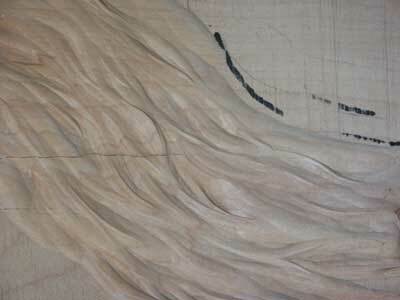 Without the fur texture, the carving would not have the same interest. 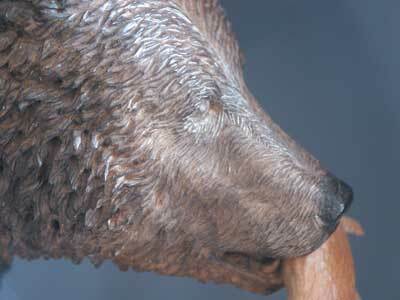 A strong contrast has been created between the texture of the fur and the water, which has been sanded completely smooth. 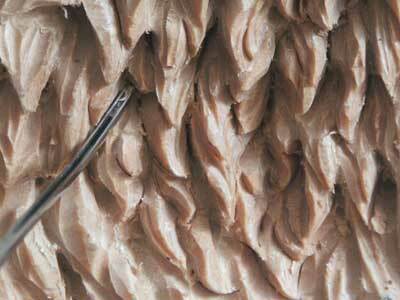 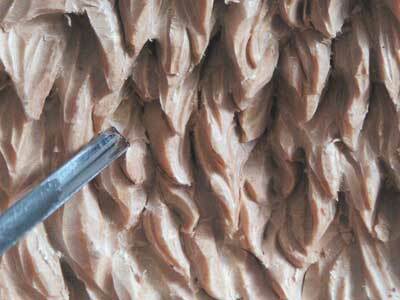 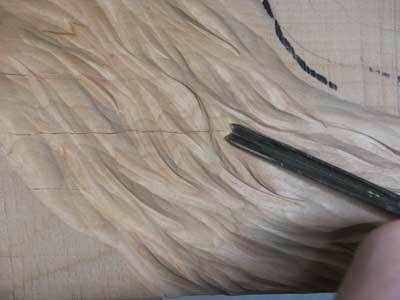 When carving fur or hair it is very easy for it to end up too stiff and lifeless. 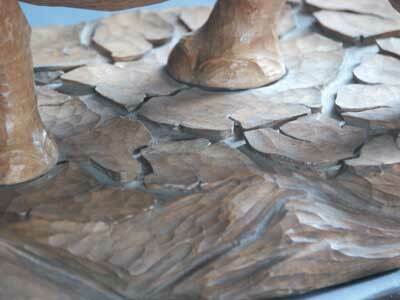 This is due to focusing too much on the details rather than the movement. 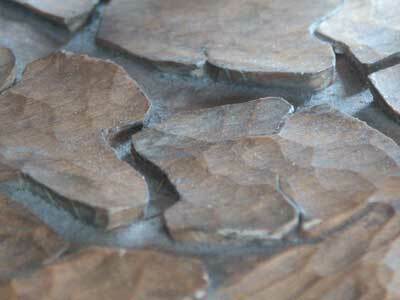 If you try to copy nature too closely the outcome rarely looks good. 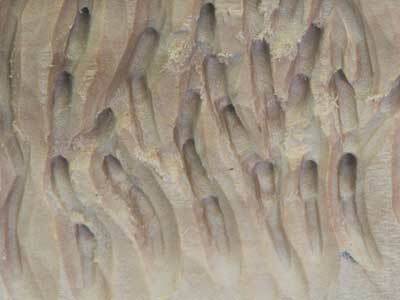 The key to obtaining a good finish is to create an impression, rather than trying to copy too closely - Rodin was a master of this technique. 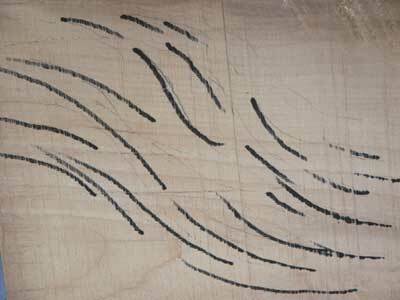 A good way of creating the impression rather than the details is to squint your eyes; this way you are only able to see the major shadows and movement of the form. 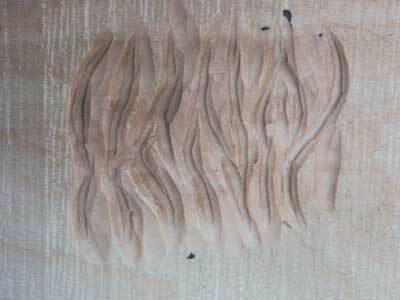 The same technique is also very useful when you are roughing out. 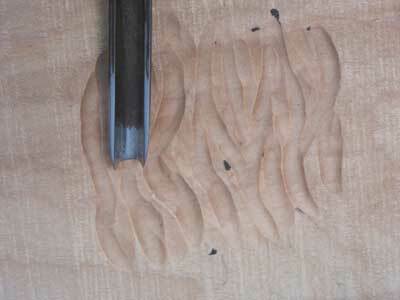 If it looks right while squinting your eyes, then you know that you have got the main forms correctly shaped. 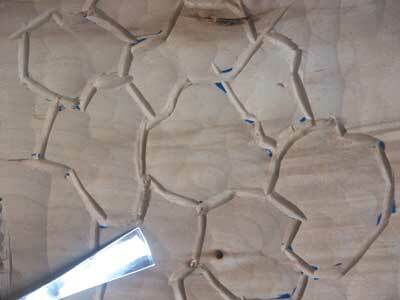 However, if you find you need to stand at the other end of the room, squinting your eyes with the lights off for the carving to look good, you may have taken a wrong turn at some point! 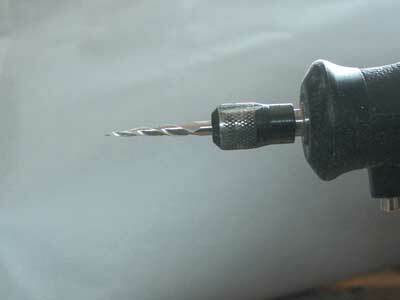 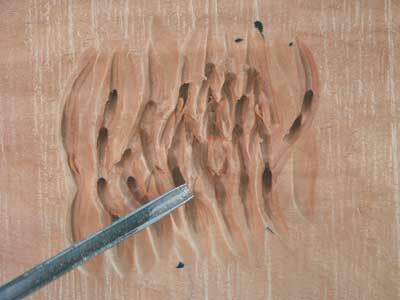 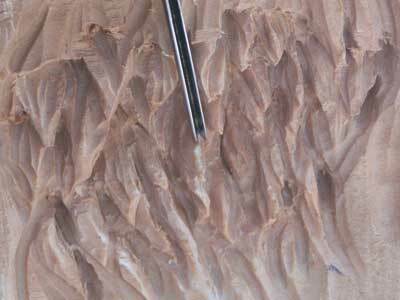 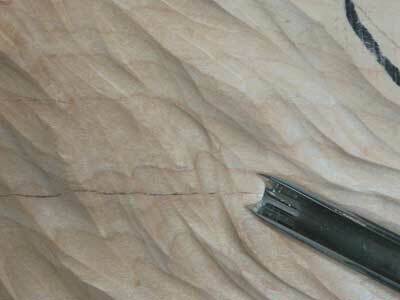 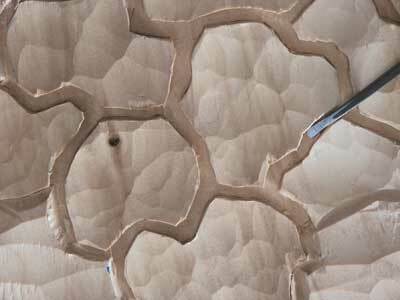 Whenever practising tool-finishing techniques, your carving tools have to be absolutely razor-sharp in order to obtain the correct finish. 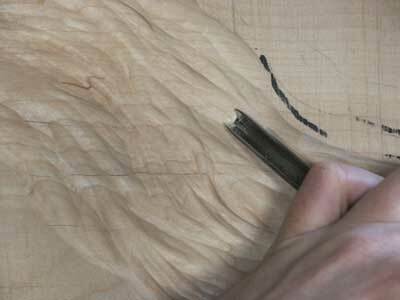 Without this, the finish can look scrappy, which will detract from all the hard work which has been put into the carving. 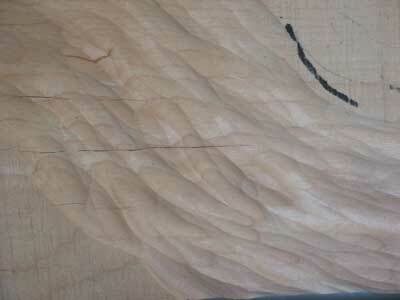 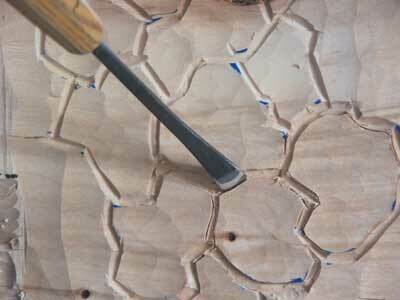 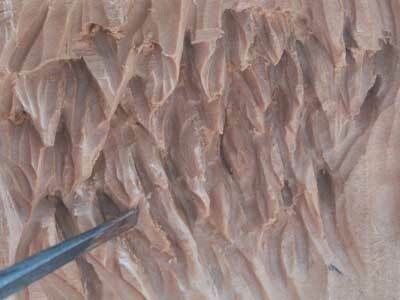 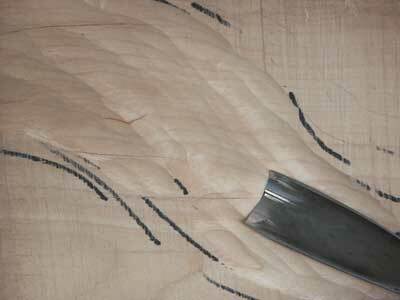 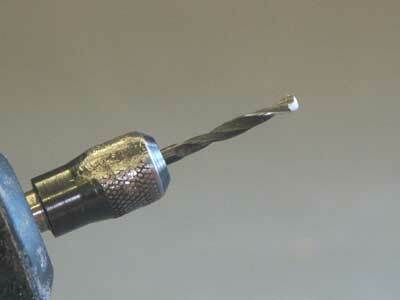 "Your carving tools have to be absolutely razor-sharp in order to obtain the correct finish"